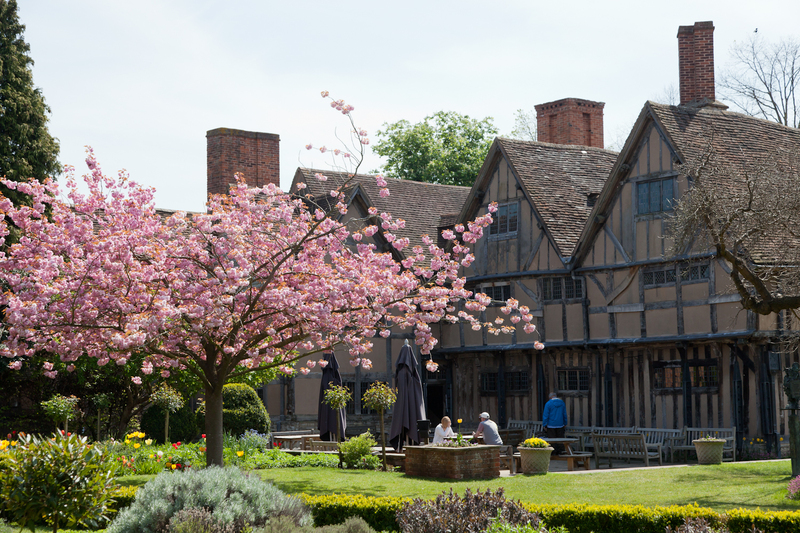 Why not bring Shakespeare to life for the kids with a trip to his daughter Susanna's house in Stratford-upon-Avon - and treat yourself to afternoon tea? It would be rude not to. 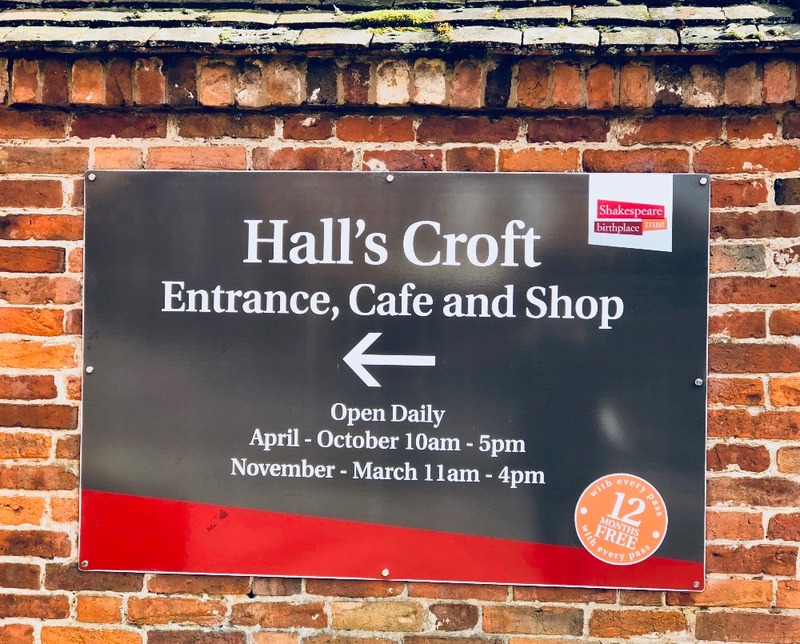 During half-term last week my husband and I took the children to Stratford for the day, and our first ever visit to Hall’s Croft – the home of Shakespeare’s daughter Susanna and her husband Dr John Hall in Old Town – and the quirky MAD Museum. We had gorgeous blue skies but it was freezing! 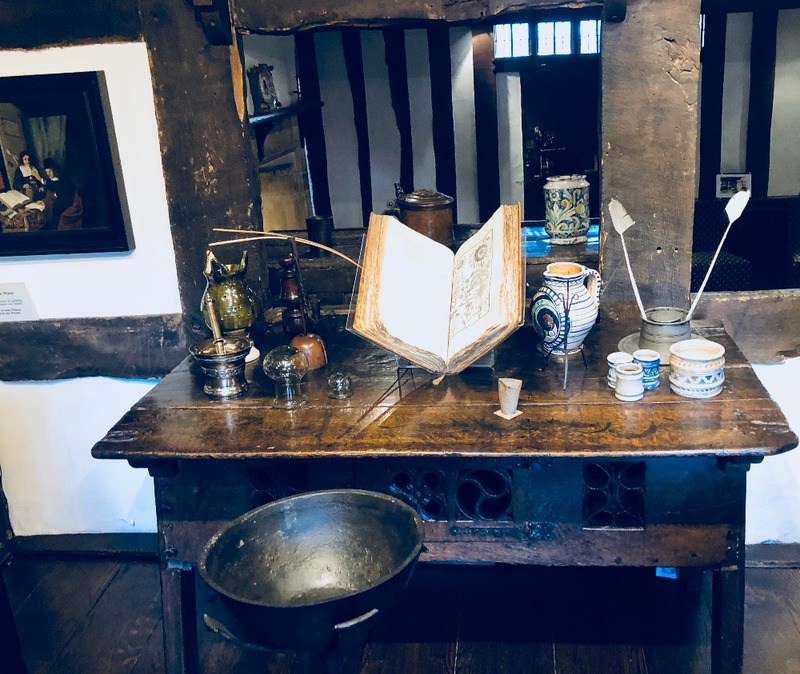 Inside Shakespeare’s daughter’s home, Hall’s Croft, in Old Town, Stratford-upon-Avon close to Trinity Church. 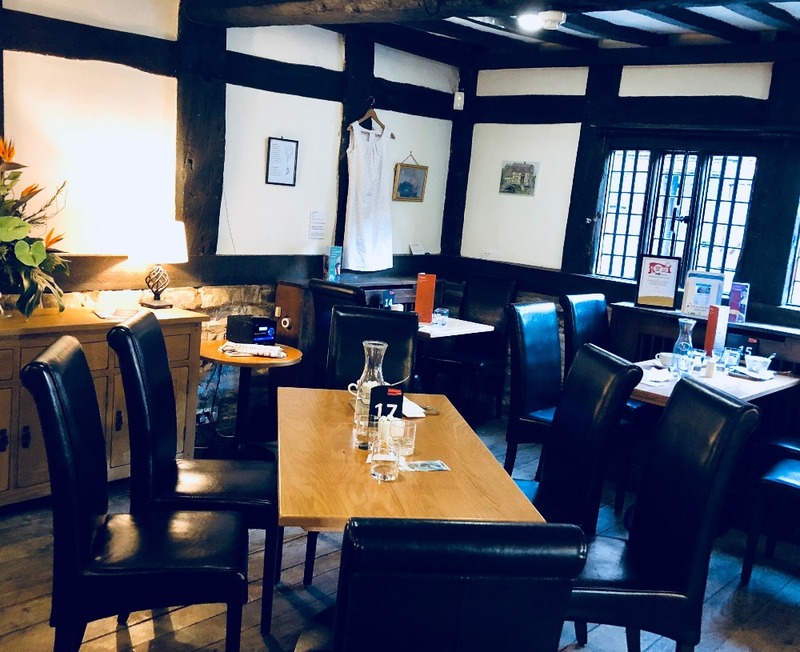 It’s a gorgeous timber Jacobean property built in 1613 over three floors and the café was formerly a Victorian schoolroom added onto the Tudor house. 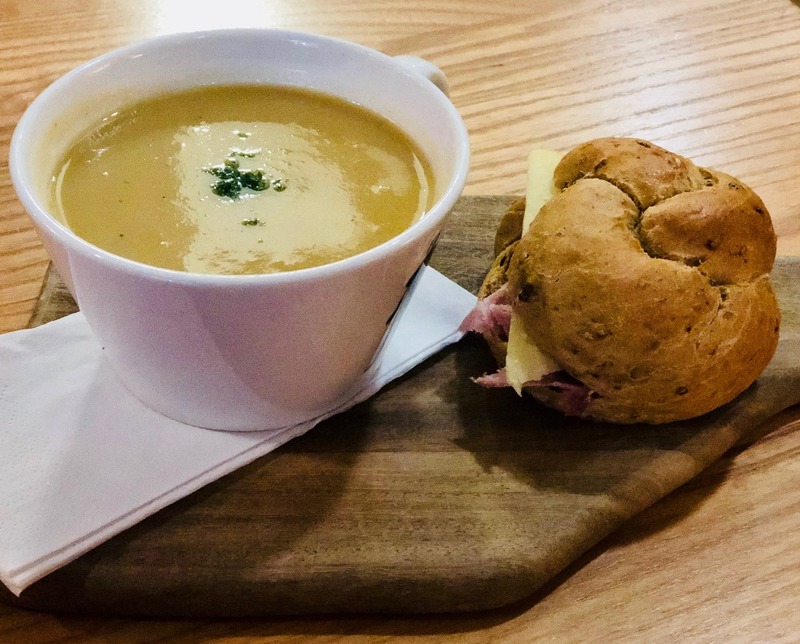 Newly refurbished, the Shakespeare Birthplace Trust’s (SBT) award-winning café was relaunched earlier this month and is open to non-ticket holders. Split into two halves with one side reflecting the beautiful main house with its wooden Tudor beams and feature stone fireplace; the other half is a former Victorian school house – light, airy with high-ceilings and huge sash windows, with two rustic candelabra-style feature ceiling lights as eye-catching centre-pieces. Local art adorns the walls – including a white dress which we weren’t sure whether was art or someone’s actual dress! 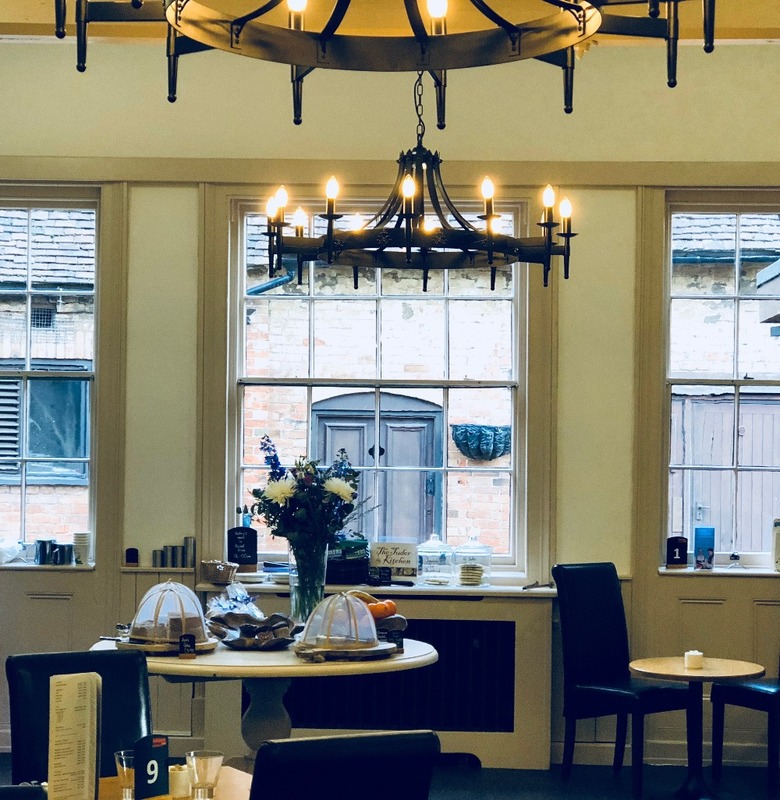 There are wooden tables, leather backed chairs and a display of home-made cakes and a bunch of seasonal fresh flowers on a central table. 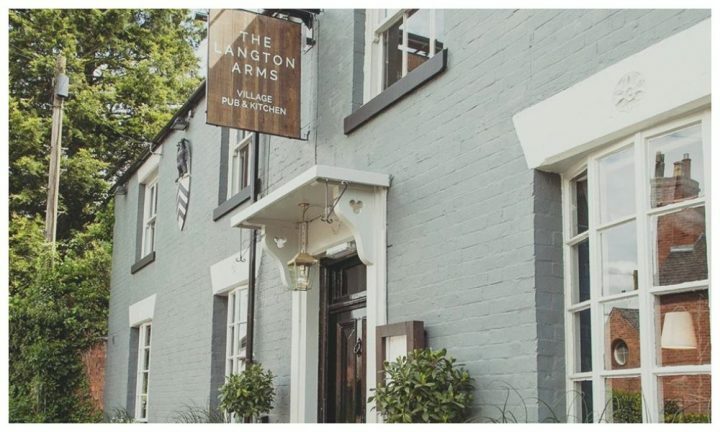 The atmosphere is informal, relaxed and very friendly serving lunches, afternoon teas, private parties and weddings. It’s not a white table-clothed, fine china establishment. Lots of appropriately Tudor-inspired dishes. 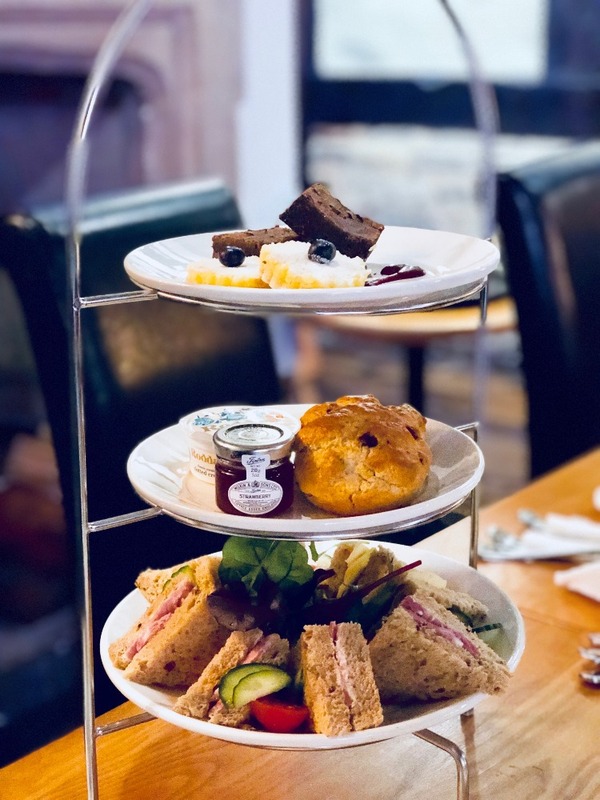 The full High Tea is a very reasonable £11.50 per person, which my 14-year-old and I shared – with an additional pot of tea. We admired the dainty nibbles, positioned prettily on the stand. The sandwiches a choice of cheese and pickle and ham came on brown bread. We made light work of the tempting patisserie section. Best bit? The light-as-air warm freshly-baked home-made sultana scones, accompanied with clotted cream and strawberry jam. Brucey bonus you get to choose a cake to accompany your scone and a light lemon meringue shortbread biscuit – my daughter chose a Brownie. 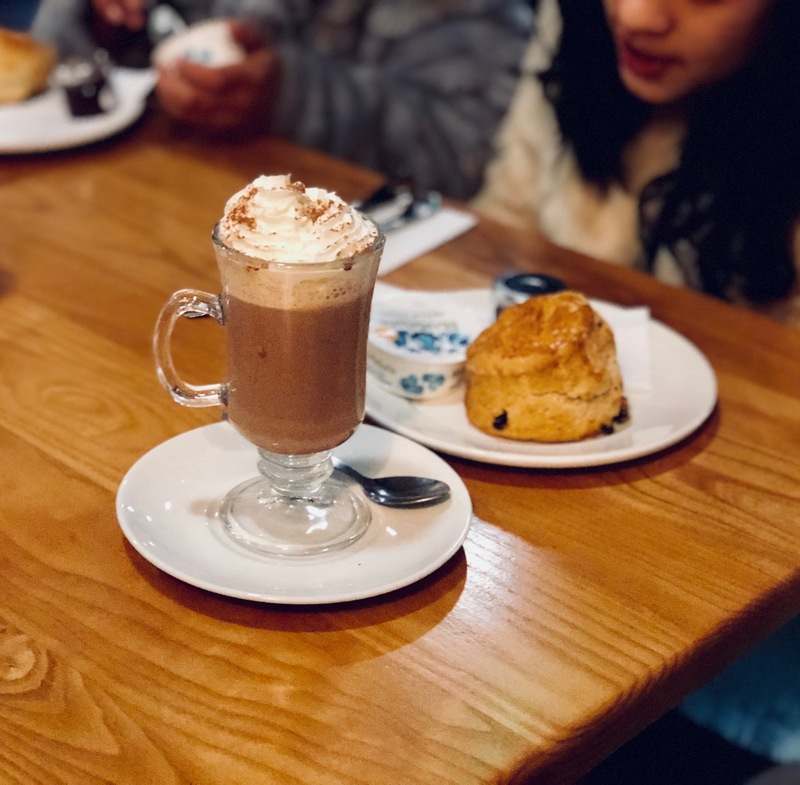 My nine-year-old and her little friend had their own English Cream Tea, £5.50 each, with a fancy Hot Chocolate instead of tea; while Mr Muddy opted for something more savoury – Parsnip & Apple Soup and a Tudor Knot cheese and ham roll, £6.95. 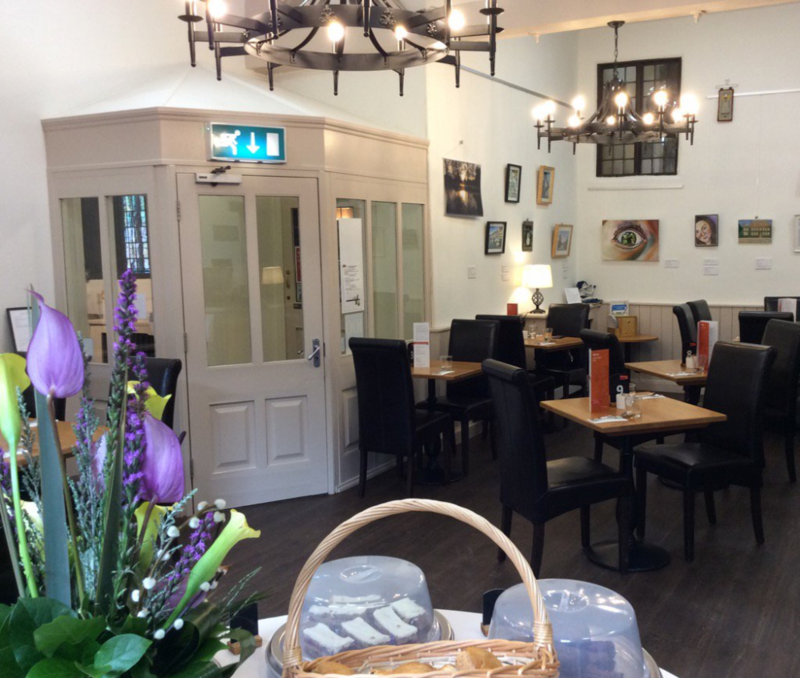 Impressively, the café has achieved a Gold award accreditation from the Soil Association’s food for life standard. 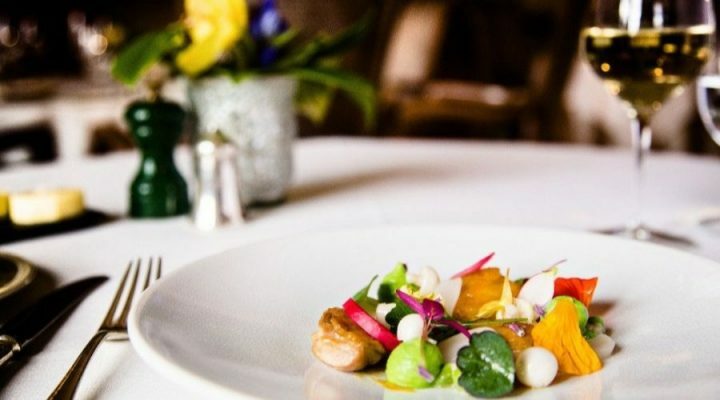 The award recognises restaurants and caterers who serve fresh food, which is free from controversial additives and better for animal welfare, and includes a rigorous on-site inspection. 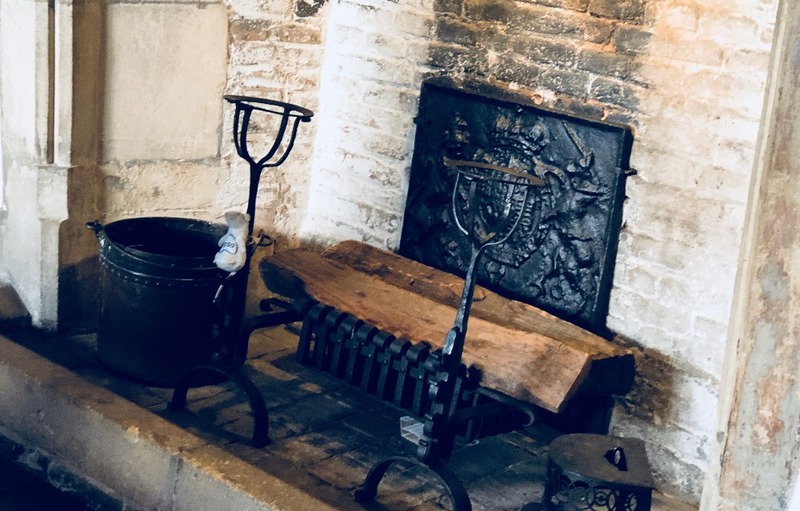 We walked on stone floors, Shakespeare himself walked on in the main entrance by a magnificent Cotswold Stone fireplace. Here we had a wonderful informed talk about the history of the house and its architectural features. The Hall’s wealth can be seen in the generous use of timber on the exterior. 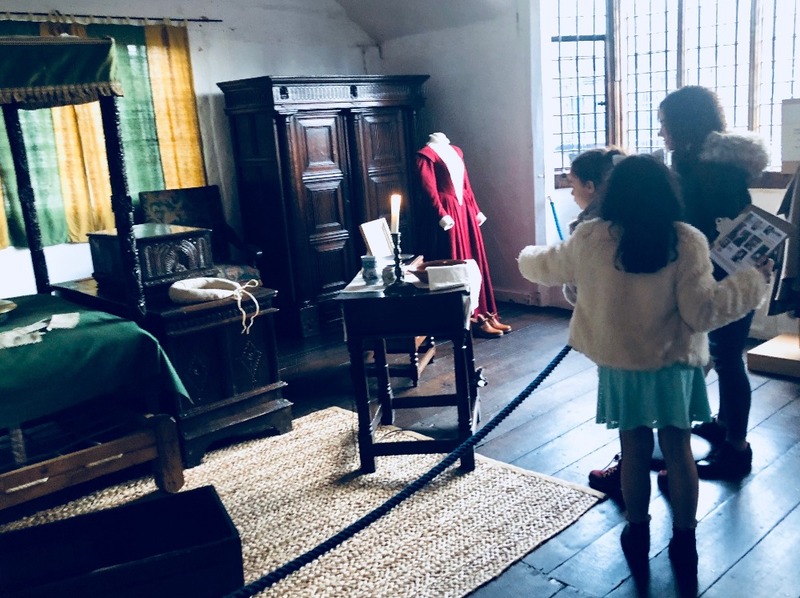 Although the original Tudor furnishings did not belong to Shakespeare’s family they are Jacobean, including an ornate and rather uncomfortable looking baby chair and some striking original Flemish artwork. Suzanna, Sir John and daughter Elizabeth lived here until Shakespeare’s death, then moved into the nearby family home at New Place, literally around the corner. The younger girls enjoyed going on a mouse-hunt around the house and looking at some fierce-looking medical implements including an amputation saw. 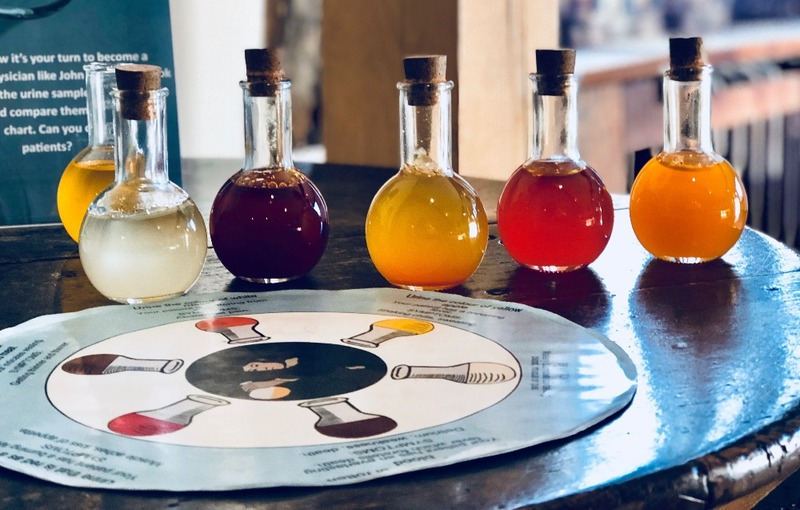 There’s some period costumes to try on and – the source of much amusement I imagine, colourful bottles of urine on a ‘Uroscopy table’. Can you spot the mouse? During Victorian times the house was into a school and rented by the nearby RSC including the actor Anthony Quayle who lived there while Artistic Director, 1948 – 1956, and apparently had great parties! There’s a lovely little gift shop in the main entrance if you’re in need of a gift or inexpensive souvenir for a child, ours were very happy with a colourful £1.50 quill pen (result!). You can wander into the attractive enclosed walled garden which was much bigger than I expected. There’s a big Mulberry tree and patio tables and chairs to enjoy a pot of tea outside in pleasant surroundings during warmer weather. Bit too nippy last week though. 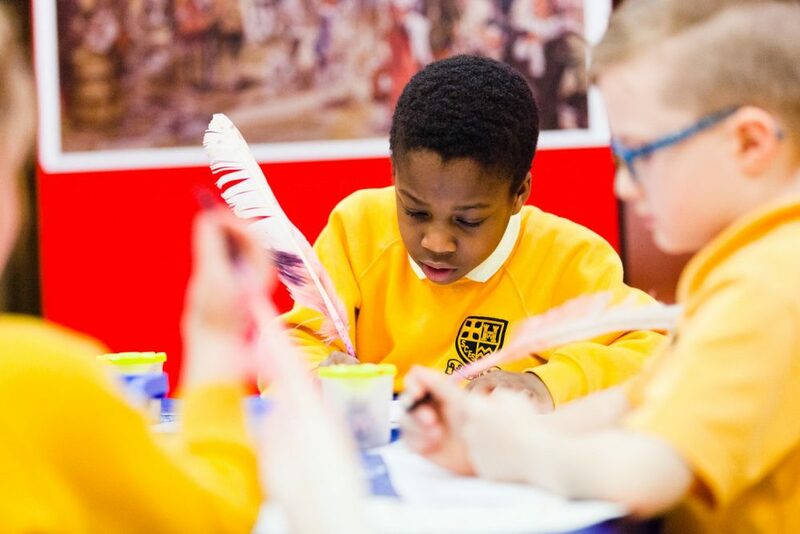 With Shakespeare Week, an annual national campaign for primary schools, coming up March 12 – 18 your kids or grandchildren may be learning about the Warwickshire playwright at school. Why not bring it to life? 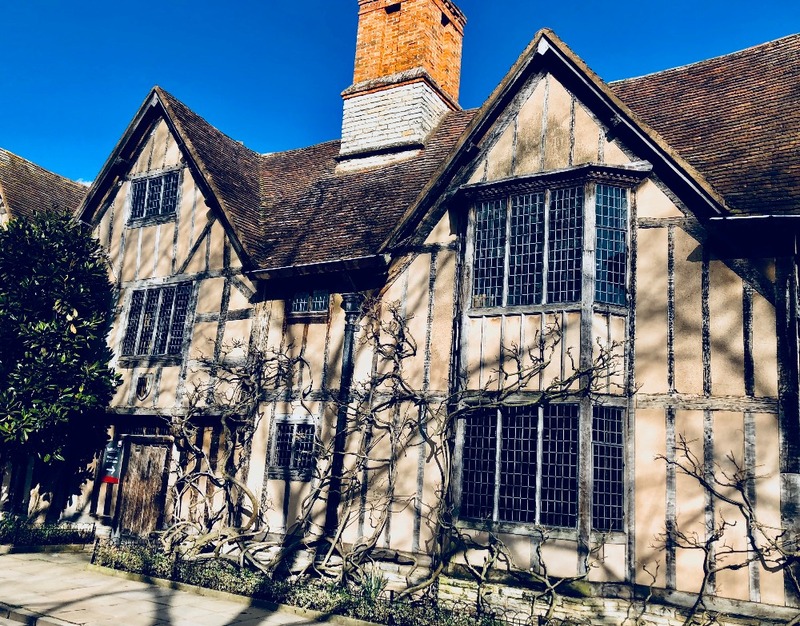 Good to know two more of Shakespeare’s family homes, New Place and Shakespeare’ Birthplace, are within close walking distance if you’re in the mood and they’re keen. 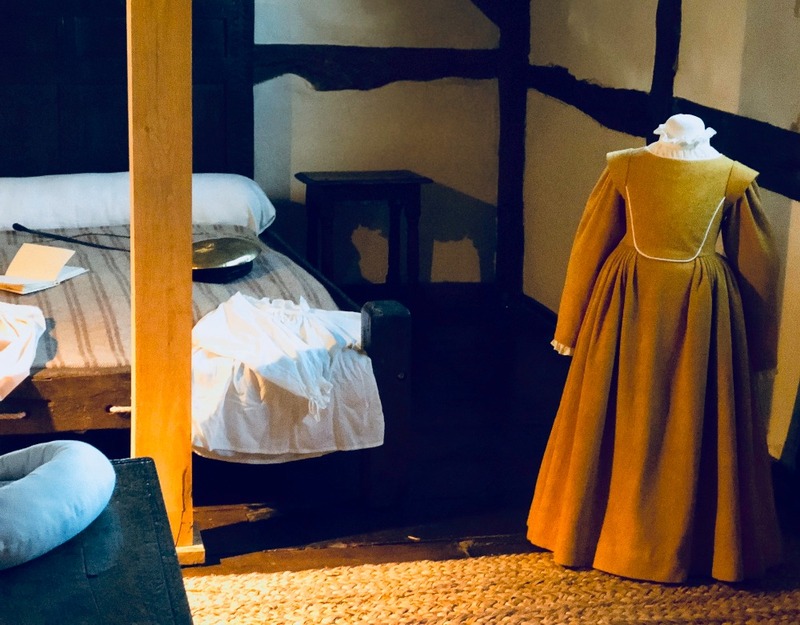 Thatched picture-box pretty Anne Hathaway’s Cottage, is a mile away in Shottery and super child-friendly Mary Arden’s Farm a 15-mins drive, in the attractive village of Wilmcote – perfect for a family day out. 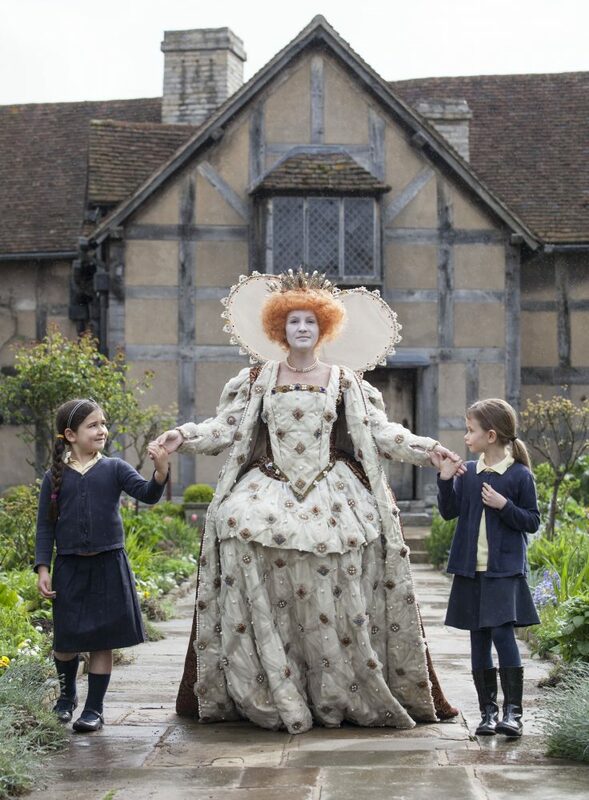 Child-friendly events are held at all five houses throughout the year, particularly during the school holidays. 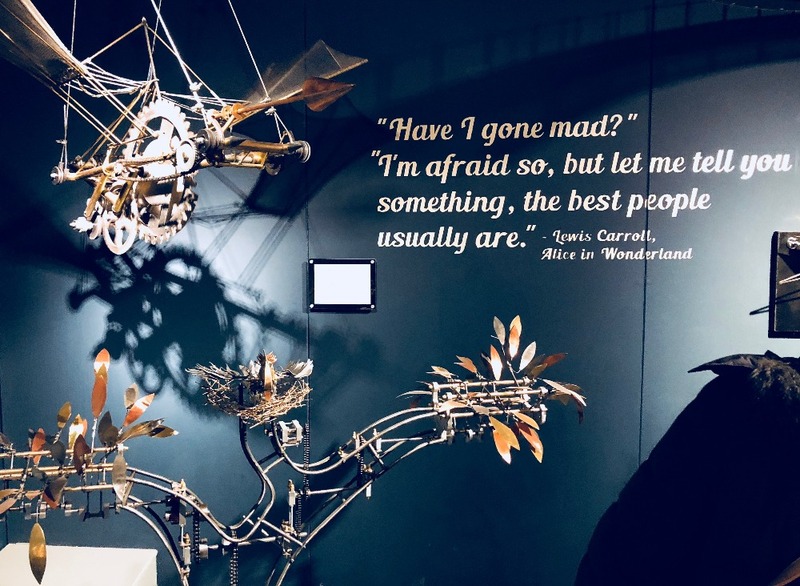 Another good place to take kids is the UK’s only Mechanical Art and Design Museum on Henley Street, a 10-minute walk away on the same street as Shakespeare’s Birthplace. 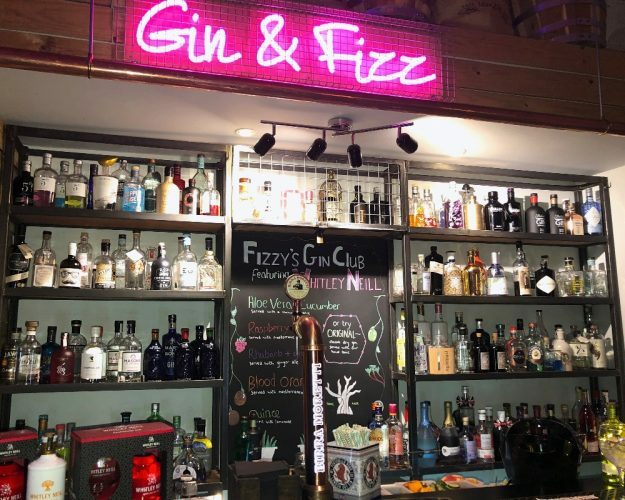 It’s upstairs on the first-floor, moderate in size but packed with quirky intricate machines made by kinetic artists – although we did walk passed the entrance several times. It’s right next to Lakeland. My husband’s an engineer so was fascinated at the amount of work that went into the designs, as much as the girls enjoyed watching the clever and witty machines and gizmos. Great fun, educational and interactive too! 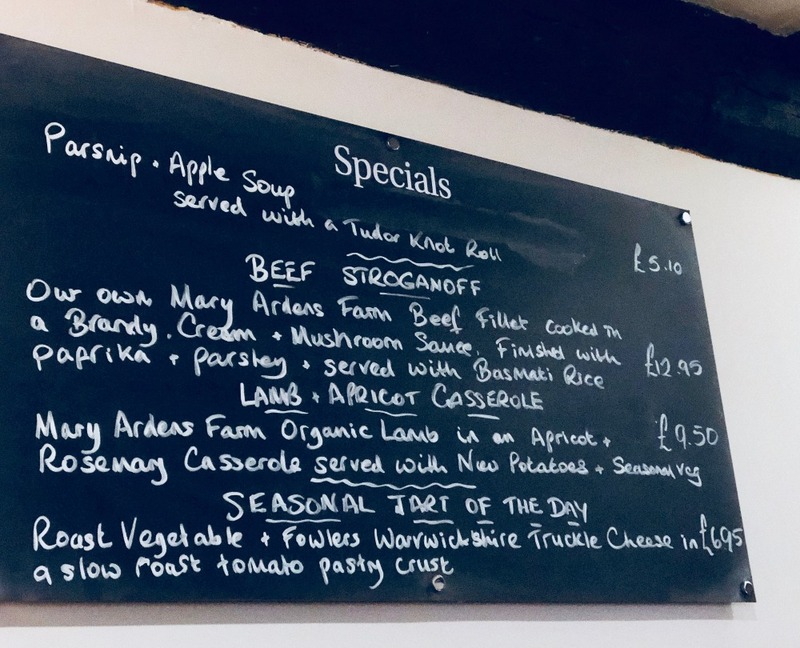 Good for: A classy alternative to the chain cafés that proliferate touristy Stratford and good to know the food is home-made with seasonal specials using produce from Mary Arden’s Farm, and you have the bonus of being in a beautiful heritage building with a great, hidden space for children to explore in the town centre. Not for: Fancy-pants white table cloth occasions. 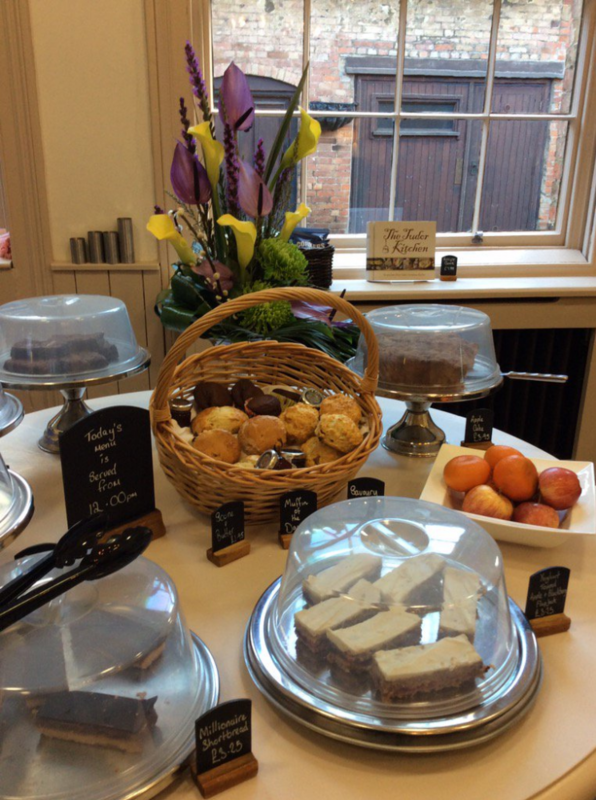 It’s more informal, family-friendly and relaxed, like visiting a National Trust tea-room. ££: Reasonable, excellent value-for-money. Generous portions.